Agies Resources offers high quality water dispenser for home products that will filter out chlorine and sediments to produce drinking water that is safe to be consumed by you and your family. Some products have other benefits like alkaline water produced through electrode plates to generate ion or alkaline filters. Call us now to find which for price and info on which dispenser suits for your home. Ordering a water dispenser for home use from us leads to pure fresh drinking water for family and friends at anytime of the day or night at convenient fill it yourself locations. Not only is this quality dispenser system convenient for consumers, the water is at a pleasant temperature that makes it easy to drink water all day. This variety of dispenser or a direct piping water dispenser encourages everyone to drink water to remain hydrated year-round to keep the mind and body functioning optimally. 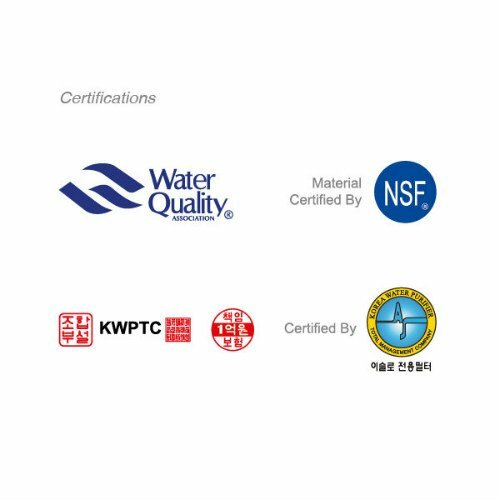 Today, tap water from local water pipe line source has thousands of different types of water contaminants such as metal or parasites that can cause health problems, but a direct piping dispenser with filtration systems offer fresh and clean water instead. While our company offers five gallon bottles of water delivered to a home or business to provide water for cooking and drinking ; we highly recommend for great convenience for homes, direct piping filters. Imagine having a water dispenser for your home in any room such as a nursery or kitchen, instead of needing to carry around huge bottles of 5 gallon bottle just to load for a top free standing or the table top dispenser. Businesses such as exercise studios and medical facilities can benefit from having easy to access water for clients, rather than unsanitary drinking fountains. Office locations who order direct piping also benefit from this major convenience. instant without the need for ice or boiling the water . With hot water available immediately, the family can make tea or coffee quickly, saving time. A direct piping water device saves money on energy costs such as electricity and natural gas because the systems are highly efficient. Direct piping water dispensers are an essential part of a home because the filters only will give clean, drinkable water but also allow a person to add additional benefit to his filtration system such as alkaline filters for anti-oxidation benefits. 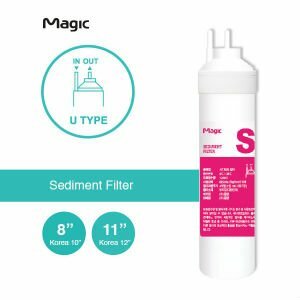 Types of filters are explained here. There can be 3 to 6 stage filter product depending on size of the dispenser and the need of the customer. Do note that any filtration system using more than 4 filters will not have heated water. We sell a selection of the latest advanced filters based on the models. A common misconception is that tap water is a healthy way to hydrate. That may be true when comparing it to soda and other sugary drinks, but after considering its high acid concentration and the amount of unfiltered toxins, you’ll understand the need for healthy alternatives, like our reverse osmosis filtered drinking water. Tap water is littered with contaminates, like copper and arsenic that linger behind, but it also contains chlorine and other chemicals used to treat the water. Reverse osmosis is a method of water filtration and an economical alternative to conventional drinking water. Water flows through a semipermeable membrane that collects impurities that filtration plants leave behind. The RO dispenser uses a valve that connects to the pipeline and directs the water supply into the filter. Once the contaminants are removed, the water is drained into a series of storage tanks where it is stored and ready for use. With our RO water dispenser for home, you’ll have a continuous supply of healthy, drinkable water for your entire family. Other than the fact that bottle water is expensive, especially when you consider the amount you’ll would need in order to get your necessary daily dosage, many store-bought products are not much healthier than tap water. And those that are tend to be well overpriced. Although a large percentage of bottled water is moderately safe to drink, it’s often impossible to distinguish from brands that draw from municipal sources. Many of your favorite bottled water products are purified using the same method as tap water, treated with harmful chemicals. With our water dispenser for home, you know you’re getting pure, untainted drinking water every time. • Sediments You may have noticed a discoloration of your sink water. This is often the result of sediments or natural materials lingering in your water supply. 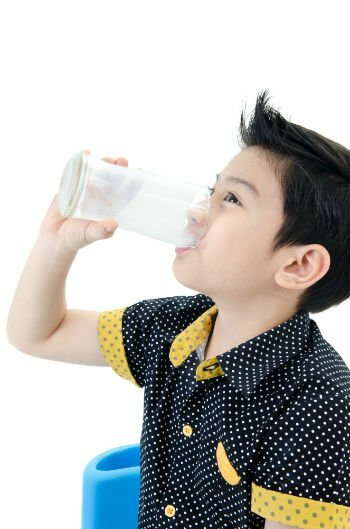 Although they may not cause an immediate health issue, they can affect the taste of your water. • Chlorine Chlorine is manufactured by adding an electric current to salt water and mixed with tap water to destroy bacteria. Chlorine, itself, is considered to be poisonous and believed to cause cancer. 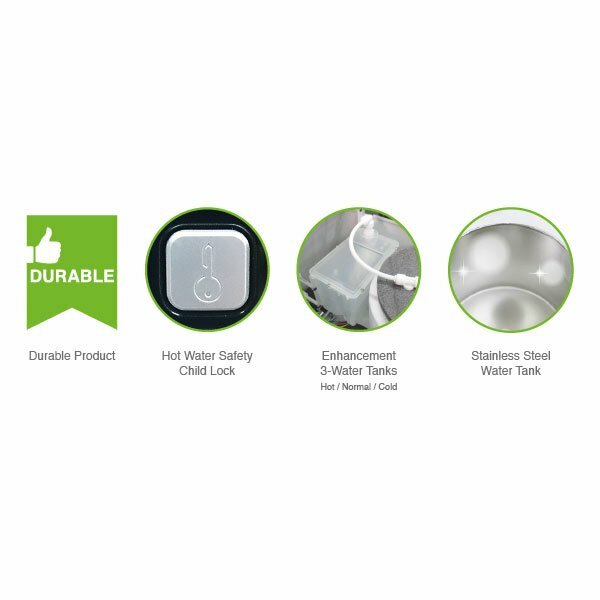 Our dispensers are also effective in removing lingering odors that make tap water unpleasant to drink. We offer a 4-stage system that provides cold and heated, ready-to-use water. Our water dispenser for home produces cleaner, better tasting water, turning healthy living into an enjoyable experience. Having them installed in your home or office is a cost effective alternative to expensive bottled water and helps reduce gas-related energy usage. 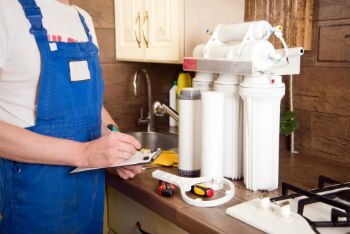 We offer convenient delivery and in-home filter service and replacement, which makes keeping your water fresh a satisfying and hassle-free experience. You will see that, over time, our dispensers subsequently pay for themselves. 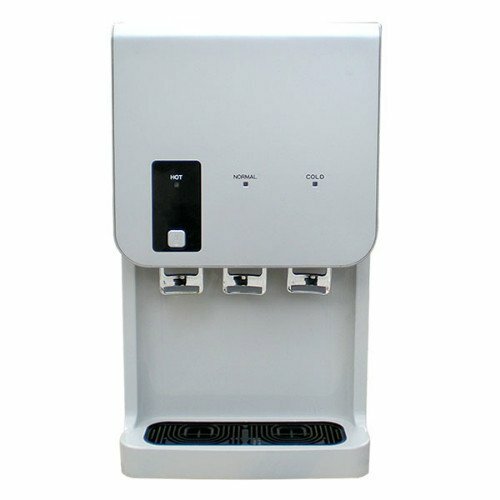 Contact us as your water dispenser supplier now to buy your own home water dispenser product. Our company services include delivery , machine service and changing the old water filters for new ones in Kuala Lumpur and Selangor area. 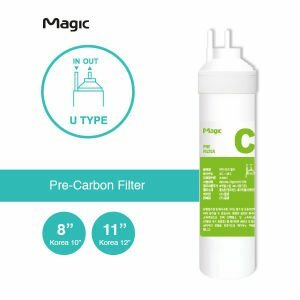 A pre-treatment water filter that removes contaminant such as dirt, sand and oxide pollutants from tap water source and protects the membrane and pre carbon filter from being clogged. Any bad taste and odor is removes through this filter giving the water a pleasant taste and absorbing any chlorine and other organic. 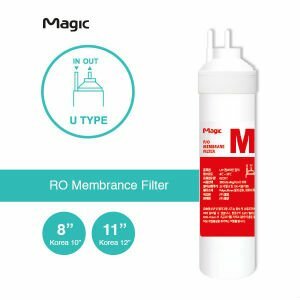 Chlorine, heavy metals and bacteria are removed through a semipermeable membrane and high pressure through a RO treatment process. This filter gives the drinking water reverse osmosis quality that the machine will dispense out.